Our society has conditioned us to believe that family is supposed to be this spiritual bond that one should not break. However, it’s not always true. Sometimes it might be required for your own mental and emotional stability and peace, to keep a distance from particular family members, even if that means letting them go indefinitely. A toxic family member can do more harm than a friend or an acquaintance. Any toxic relationship can drain you emotionally, but one with your family members can impact your overall mental health. 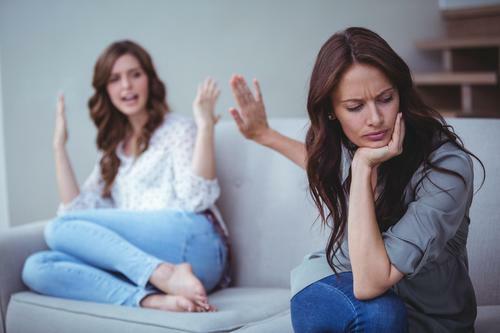 Now, it might still be possible to remove toxic lovers, friends, acquaintances or colleagues from your life with much of a drama and aftermath but what if you have an abusive relationship with your immediate family? 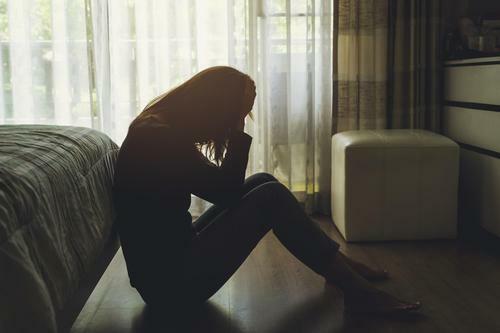 “This is rarely easy and is often complicated and emotionally conflicting in the case of close family relationships, such as with a parent—but when situations deteriorate to the point of making it impossible to live a happy and liberated life, this course of action is usually the best,” Asturrizaga says. They make you the victim of their insecurities. Instead of appreciating what you have achieved in life, they will point out what you haven’t. They will remind you constantly that life is unfair and there is nothing to be happy about because they are personally feeling it. They will always judge you. There is a fine line between constructive feedback and opinion based judgment. You will know when their criticism is helpful or they are just trying to bring you down. They abuse your energy. They will use up all your positive energy to make some sense of their miserable lives, and when you need them, they will disappear. They are not trustworthy. If your family member knows all your strengths and weaknesses and uses them against you when the times are tough, you know they are not the ones to be trusted with your secrets or personal information. They blame you for their mistakes. Do you have a family member who emotionally dependent on you and has made you the anchor of their life? Chances are they are feeding off your energy and will continually blame you for not being there, even if they know that you have a life of your own. Their behavior towards you changes according to the people around you. One day, they will celebrate you and pretend to care, but other days they are insensitive to you and will insult you. They will tell you all the nice things to you in person, but usually, in front of anyone else, they will either be sarcastic or mean. It won’t feel natural to remove a family member from your life. There are so many emotions and strings attached, and it will, of course, shake the foundation your life is based on. But if you do not resist this impulse, you will have to pay the price to keep that foundation intact; and that price is your mental stability. This price is higher, especially if that family member is your parent. A parent by default gets the benefit of the doubt because raising a child can be tricky and overwhelming. And sometimes even if you try to convince your family member that what they’re doing is harming the ecosystem, they will dismiss your thoughts, put the blame on you or society or take it personally and won’t change ever. But that’s okay because you have to keep trying. What we are trying to say is you cannot make anyone happy if your own happiness is at risk. It’s imperative for every individual to focus on their life first and then let other people in his or her life. A relationship is a lot of work and the one with family is supposed to be sacred. So we attach a lot of expectations around it. And when our family members take us for granted, or hurt us, we lose our minds. It’s essential to maintain a balance and some personal space, even with your parents and siblings and one should be able to respect others’ personal space as well. But if nothing works, then cutting them out of your life is the necessary step you need to take. Families are there to support you, cheer you and be there for you in times of need. So any group of people you surround yourself with and who prove that is your family. After you have identified and confronted the toxic person in your life, it might backfire you in the way that you the abuser might try to gaslight you into believing that it’s you, who is the negative influence in their lives because of which they behave the way they do. They can play the victim card against you which might confuse you and in worst cases, make you feel terrible about yourself. And in this way, the never-ending cycle of abusive behavior just goes on. It is a pattern, and it will repeat, so you have to be very cautious and evaluate the situation from a place of logic and what feels right to you. Cutting toxic people out of your life is important for your mental health and wellness, even if they are family. Do you know someone who has been affected by a toxic relationship with a family member? Let them know that it is ok to cut that person out of their life.